I've been stamping for a long time. I won't tell you how many years, but since I was about 15 years old. So like at LEAST 14 years in adult woman years, which are a lot like dog years, now that I think about it. Anyway, one of the very first things I did, because I was such a bibliophile, (but not such a bibliophile that I wouldn't sacrifice a book for an art project) was to incorporate book pages into my cards. As a matter of fact, almost TWO THOUSAND cards ago in my Splitcoaststampers gallery one of my very first cards was a card with a book page on it. It's always been something that I've loved. Altenew has a new release today, and one of the stamp sets in it cried out for some book pages. The large, flowy open areas might have called for color for some people, but for me, they called for words. I was working with a ginormous, ancient dictionary that doesn't even have a cover, and throws my back out every time I pick it up. I think I got this battered old thing for fifty cents at Half Price Books a decade ago, and it's one of my favorite book sacrifices, because the print is tiny enough that it's perfect for open stamp images like the one I'm using today. But you cannot just stamp on an old dictionary page and glue it onto a card. The paper is so incredibly thin, and in my case, a bit delicate with age - this thing is very old - that you have to prep it before you can use it. To do that, I took a Sizzix adhesive sheet, partially lifted the release paper, and stuck one whole sheet of cardstock down onto the adhesive. I rested the release paper on top of the page - you can see through it - and I cut out just the sheet of cardstock with the release paper closed - because as long as you don't remove the release paper from the whole sheet, you can use the remainder on another project. Then I really burnished the adhesive sheet onto the cardstock, and then removed the other release paper from the other side, exposing the adhesive. I laid my dictionary page onto the adhesive and smoothed it out with my bone folder and now I had a nice, sturdy backing for my delicate page. Then I stamped the beautiful florals from this set in Crisp Black and die cut them. When you are placing your dies on delicate paper - if you tape them - make sure the tape touches only the die and the piece that will be discarded. This dictionary page is not strong enough even for delicate tape. I placed the flowers onto a background I created using this technique. This was on a piece of primed canvas, and all I did was do the colors in the reverse order from the way I did them in the video, and this is the result. I love how the turquoise and the magenta make that crazy purple and the way the texture of the canvas shows through. I stamped the Hello from this set and cut it with the matching dies. The sequins are my faves - the Like Magic sequins. I used Multi Medium matte as my adhesive on the whole card, because the canvas was pretty slick, and I didn't think my normal glue would work.. I had another piece of canvas I did the same technique on - I just omitted the blue, so I used that in a similar way. Again, the sentiment is from Halftone Circles and the matching die. The stamp set is the Sweetest Peas used above. And now for something completely different!! I LOVE this clean, crispy set this month! The combo of solid and outline images makes for a lot of possibilities. I decided to do some MISTI marbling with this leaf image. If you want to see my video on MISTI marbling, click here. I set up the solid portion of my image on the MISTI and then just randomly inked the leaves in Mango Smoothie just here and there. I over stamped that a few times and then did the same in different spots with Caribbean Sky. Finally, same process different spot with Puffy Heart. I love the way it turned out! Then I just stamped the outline in Crisp Black and added that adorable sentiment. I can hear the most interesting man in the world's voice every time I look at that stamp. 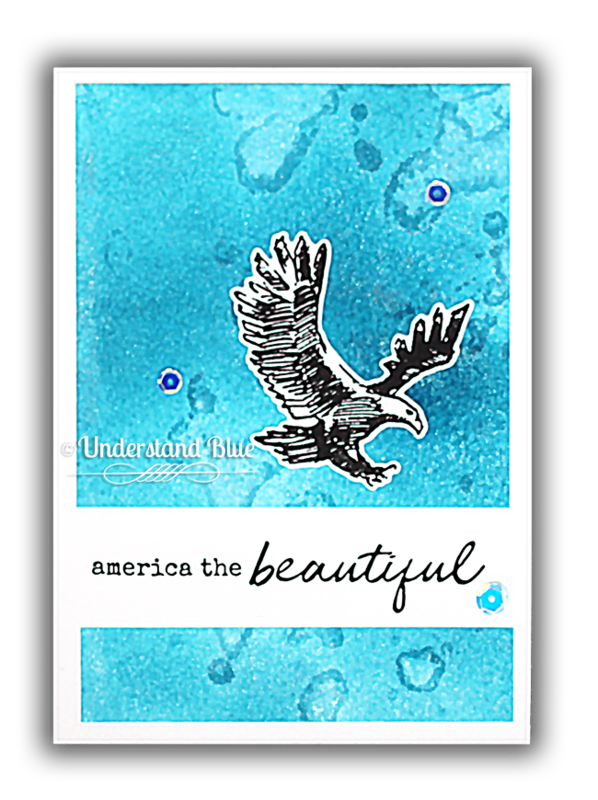 Next - since it's almost 4th of July, I pulled out the Land of the Free stamp set and matching dies. I loved the pen and ink look of the eagles, so I decided to leave them black and white and focus on the background. I thought about doing red and blue - but then I thought - that's too predictable. So I just went with two blues from the Altenew Metallic Shimmer Ink Sprays, which are beautiful. Tip - they do have shimmer in them, so if it settles in the little straw when you're not using it, just rinse it under hot water and you'll be good to go. I wanted a sort of distressed-ish look, so I tried something I don't usually do with sprays - which you will see in the video below. But here's the result. 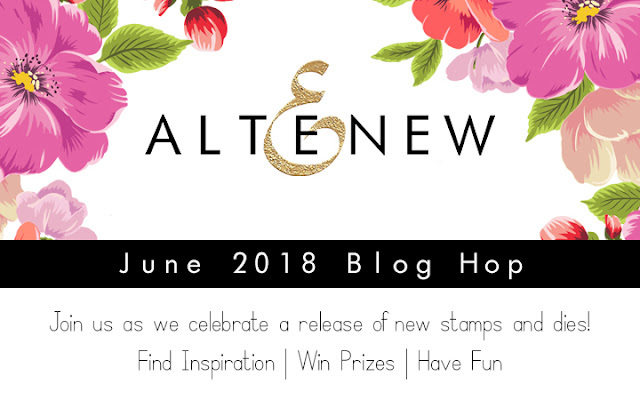 This is all part of the Altenew release blog hop today. 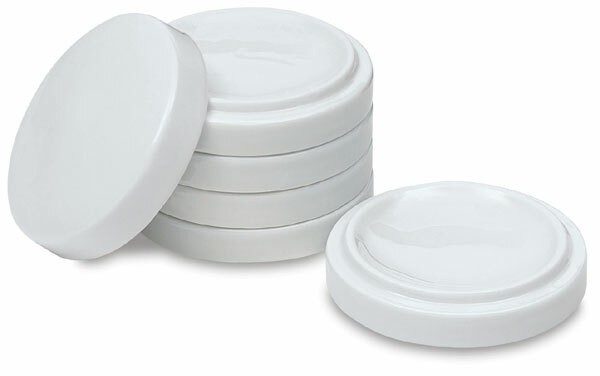 6 lucky commenters will win $50 shopping sprees at Altenew, so be sure and leave me a comment! ALSO, I have my own $30 Altenew giveaway, so to be eligible to win that, just be sure in your comment to leave me the name of your pet - past, present or future. If you've never had a pet, leave me the name of your favorite fictional animal. The winner of that prize will be announced here on June 20th. The winner of the other prizes will be announced on the Altenew blog on June 24th. So start hopping! The next blogger on the list is sweet Zinia. I challenge you to go back to one of those techniques you used in your early days and make friends with it again. And I'd love it if you'd tell me which one you picked. Supercool cards! I especially love love love the first one!!! I love the way the words of the old book page show through the petals of the sweet pea flowers. So vibrant and fun. Love, love, love your work, and the use of book pages is awesome, i like to use book pages in my work! My girls name is, Koni. I love dictionary paper too! Thanks for the great explanation of how to make them work with dies. I've had so many beloved pets. My dog Cindy was my best friend when I was growing up...but my hubby and I had the most amazing kitty named Chaemi for 19 years too! I love that you love pets! My present Rescue is Eva. Shes a beautiful while Jack Russell mix. No one wanted her because of her breed. Seriously? She’s the biggest couch potato! Loved your cards and watched your marbling technique for the first time! Cool ideas! All of these are stunning, thank you for the inspiration! I love the cards you did on the primed canvas. Sweet pea is so pretty! Very creative! I continued to read after my last comment and I had to add that your idea with using your old dictionary was out of the park! I thought it was a stamp. It will be my next find! Love these cards! Fun technique using dictionary pages! Awesome work! My pet is Kitty. Thank you! The look of stamping on dictionary paper or paper with text is so cool! I really like the stamps on the old dictionary paper and the backgrounds too. Wahya was the name of my assist dog. When he passed away it was like losing a part of me. I don't leave home much anymore so I never got another dog to help me walk and keep me from falling. This is what he was trained to do. He went everywhere with me. I still miss him dearly. Such lovely cards, Lydia! Thank you for sharing all these wonderful stamp and die sets! Thank you also for sharing such fun techniques! Love the colors and variations of colors you achieved using water and alcohol. I was thinking that adding some salt would also add another fun texture to that first blue card panel you made. Will need to try this for myself! Amazing work!! Each one is unique and awesome! I loved your cards....those backgrounds are incredible. I have some alcohol inks, but have not tried them out yet. Your samples make me what to dive in.....such pretty work....and the stamp sets are awesome! My pet's name was Katie. I had to put her down last month. I miss her so! Your card are beautiful! Love the sweet pea stamp. Very nice cards! I love the colorful leafy one! how you made the flowers that way. All of your cards are gorgeous. Your projects and great...especially the Sweetest Peas cards - GORGEOUS!!!!! Can't wait to get my hands on the set and play - Love Sweet Peas! I love your projects! I am crazy for the canvases. I love that kind of artistic look! Really awesome! My cat is Lucy, she's a calico who acts more like a dog. She herds us from room to room and LOVES her belly rubbed (and never scratches you when you do it). I really like all the techniques you used. I really enjoyed your blog, and love your cards! I always learn new things reading your tutorials. . I did comment earlier but don’t see it so thought I would comment again. Fluffy was our sweet cat who thought she was a dog and would fetch things. 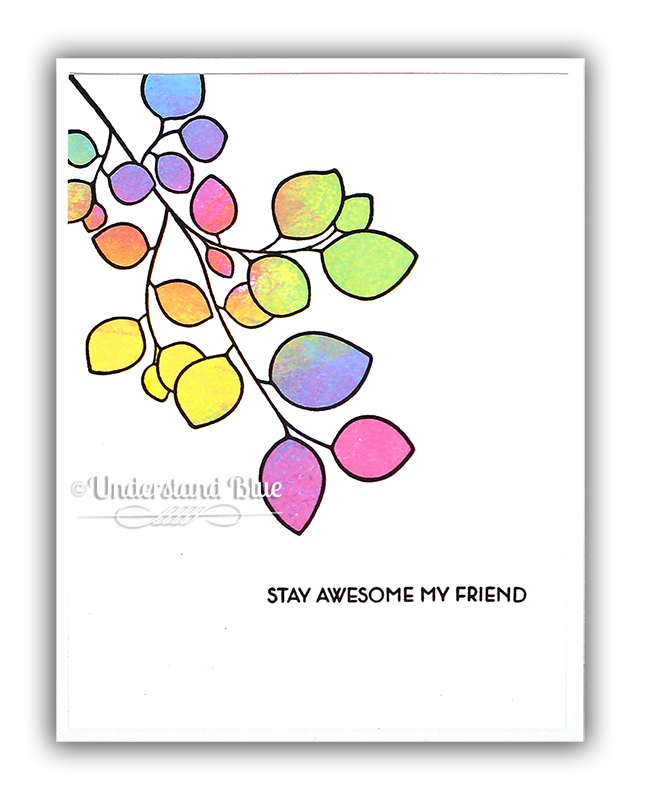 Such beautiful cards, love the Sweetest Pea cards and the Leaf Canopy too - my faves in this Altenew release. WOW!! Your creations are amazing!! I LOVE how you used the canvases!! Love that leave canopy stamp set! There is so much that can be done! Love the color choices you made for your card example! So beautiful! Brilliant! Those flowers sure didn't call out "dictionary page" to me. Thanks for the tip on sticking the pages to card stock. Amazing ideas! Thank you! Your sweetpeas card with the orange background is stunning! Love that all the color is in the background and the sweetpeas id only black and White with text. Such pretty projects - love the flowers. It's been a long time since I've had a pet but my favorite dog from my childhood was named Lucky. Wow! So impressive! You are so very original. I love the way you used the colors, so very beautiful and vibrant. Awesome cards! :) I really like the technique you shared. Whoa! Your canvas backgrounds are amazing! And I love that you stamped on the dictionary page... what??? OMG... you are amazing. Love the rainbow leaves card - and what a creative use of the sweetpeas set - fantastic pieces of mixed media art! Incredibly dynamic looking! I can't wait to try these techniques! Such beautiful, unique cards! Great hop! Love your creations! Wonderful Altenew release!!! Great collection of cards, and a great tip too! My very first pet was my kitty Charmin (named that by my parents because I squeezed the poor thing all of the time). Awesome cards ... love the texty flowers. Wow! Wow! Wow! Your cards are all amazing, imaginative and inspiring. Thank you! Love the canvas's you did those were stunning!!!!! Beautiful. Those top two cards wow. I will definitely have to try that. Thanks for the wonderful ideas. My favorite pet I had was a cat names Piggy. He was so smart and so good with the kids. He adopted us one day. Wow! You just knocked it out of the park, aced it, or whatever with these beautiful creations. I love that Sweetest Peas stamp set, the Land of the Free stamp and the Leaf Canopy set. My top three picks from this release and on my wish list!Thanks! Love, love, love your cards! Awesome work. Wowow! These cards are absolutely beautiful. Thanks for sharing! Our pet dog when I was little was the best dog on earth! Her name was Patience (Pat for short). She was an airdale and was so loving and yes, patient! Really wonderful cards but the tips your provided were even better (if possible!). I had not even heard of that ink blending product and had no clue you could add alcohol to dye inks! WOW! Such vivid colors...love'm! My dachshund dog when I was a child was named Scamp :) Thanks for the opportunity to win! What a unique background technique. Your marbled leaves are well, to drool over and the watercolour look of your last cards is fab and even more so that they are done in the blue. So much beauty and cleverness! You are accomplishing so many projects, and I love them all, especially the American eagle and the sweetest peas. My pet dogs are Maggie Mae and Smiler, two rescues. Thanks for sharing. A great video tutorial on the process for these backgrounds Lydia. All of your cards are beautiful and I love the canvas ones. Such original ideas for the cards. Using the dictionary page is such a cool idea! I love the look you get! And the rainbow coloured canopy leaves is so beautiful! Great work! Fabulous cards! I love all the different techniques and styles you used! Your cards are beautiful ! Thank you for sharing your creativity. Oups, I've pressed the button too quickly.... Actually, I've the chance to live with 5 pets, 3 cats : Saphira, Raoul and Bout d'Chou, and 2 dogs : Ayana and H'Ichi. They are also a great inspiration for my crafting. amazing release and cards. thanks as always for sharing. You are such an inspiration! Loving the reaction of the inks! And those sweet peas.....I'm swooning!!!! Current pet: Squeeks (adopted cat from a shelter), past cats: Donkey, Titus, Sarah, Rudy and Floyd. Beautiful, unique cards. Love them all. Gorgeous cards. Thanks for demonstrating the shimmer mist. I have never used it but love the results you achieved with it. You've inspired me to create some of my own backgrounds. Such a great technique— thanks Lydia! And honoring old book pages this way — yay! Former pet love-of-my-life best friend: Daisy. the last pet i had was Charlie - a really big car that i loved! wonderful cards Lydia - interesting techniques. Absolutely amazing cards, I have to try using pages from a book. Such a great look. Thanks for the inspiration. Super cool cards Lydia! What fantastic techniques to so beautifully highlight these fun new products. Love them all but the first 2 backgrounds are so wonderfully fun and just a touch psychedelic. I don't follow direction well :( I've been fortunate enough to know and love 3 cats (suzie, pumpkin and Goalie Go) and 1 dog (Samantha). Very interesting and beautiful set of cards! I always appreciate all the tips you give in your posts and videos. These cards are so beautiful. Thank you for sharing them. All of these projects are amazing! I'm super impressed! Love your projects, especially what you did with the Leaf Canopy set!!! I have 2 current pets, Chip and Wally, both labrador retrievers... well, one is a non-retriever but we love him anyway ;-) Poor Chip was just diagnosed with an autoimmune condition that is making all of his hair fall out. They say it will grow back, but he's looking like his new name should be Spot! I looove all your fabulous creations! 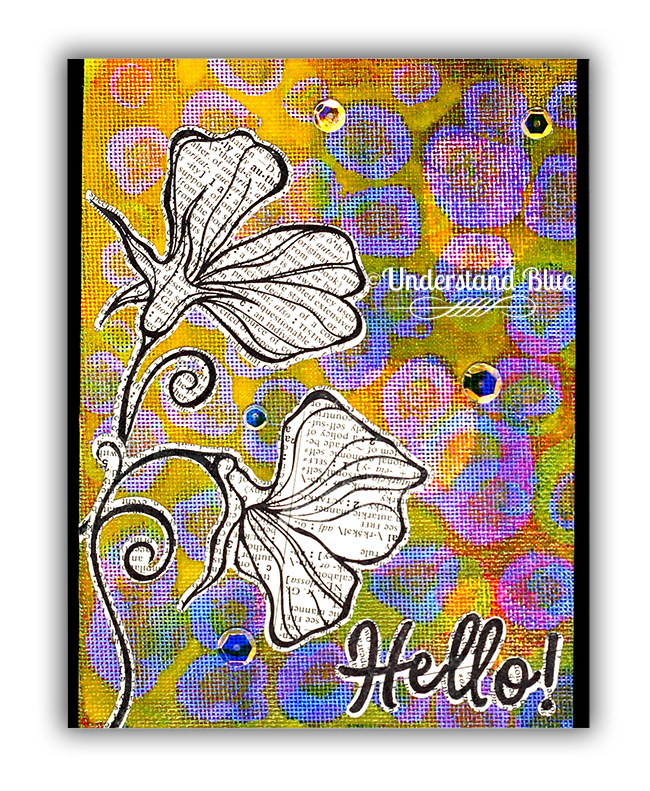 The sweet pea cards are stunning! That stamp set is at the top of my wish list. Also the Leaf canopy set after seeing that gorgeous colored card you made. Love the awesome blue background on your last 2 cards also! You are a true artist! Your ideas/techniques are amazing, thank you. I currently have a cat named Willow and a cockatiel named Comet. Over the years I've had cats named Thomas, Frosti, and Tuffy; a dog I found abandonded in a parking lot, Timmy. Guinea Pigs named Butterscotch and Cutie. I briefly had a chipmunk named (very origially) Alvin. I rescued him from the neighborhood cats (at the time) Tiger and Creampuff. And then there were the mice I bred for a science project in 8th grade...Mozart and Minuet were the parents .. offspring... Mendelsson, Mozart Jr, Moller, Molinaro etc... A goldfish named.....Goldie..... and my first pets -turtles named Caukie and Walkie ( I have no clue why). I love the stark outline with the rainbow colors! What a fun collection of cards with a really cool mixed media style; those would make a great set to give as a gift. And I'm with you: no destroying of "real" books, just books that have already been loved to death. As far as pets, we had a tradition in my family when I was young of naming our cats after alcoholic drinks, so my childhood pet was named Mickey, not after the mouse, but after the drink. Somewhat surprising considering my family doesn't drink, but whatever. We're quirky. :D Thanks for sharing. What a great idea to use paper and turn it into cardstock. Love the look of the newsprint in the flower. Great idea and tip for stamping on dictionary paper. My pet was a long haired tabby cat called Nicky. We had her for 18 years. The backgrounds are absolutely stunning! And I love the use of newsprint in the cards. I grew up with a dog named Ringoo, named so because he used to grab his tail and go round and round. Unfortunately I lost him when I was 17. I miss him till today! What a fun and gorgeous technique! I love how those backgrounds turned out! I'm definitely going to have to try this! Thanks for the great inspiration! Lydia, my mind is blown!! Wow! Thank you for sharing your tips and techniques for these fascinating cards! Each one is a gem! Oh- I forgot my pet's name!! Cricket! Fabulous creations! I especially love the sweet peas! Totally love the use of the dictionary pages again! This technique is so much fun and I can't wait to try it! I love the newsprint flowers with those bold colors....brilliant! Wonderful creations. thanks for sharing how you deal with book pages. My pet as a child was a dog named Princess. HOOTER (he was my favorite cat). Am so inspired with your Sweetest Peas using the dictionary pages and your gorgeous bg coloring!! Gorgeous!!!! Tigger! woo hoo hoo hoo! Wonderful designs Lydia! Love the colorful backgrounds! Thanks for sharing! 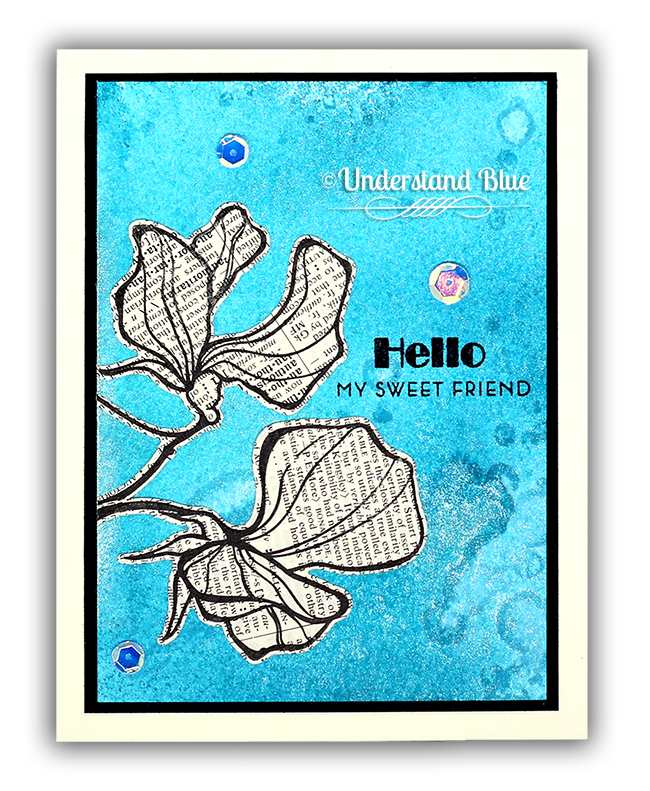 Your mixed media work with these new stamps is so awesome! Love the use of the dictionary paper! And your canvas work is inspiring! Can't wait to get my new stamps and dies in the mail! We used to have a St. Bernard---his name was KABI. I had a kitten named Cady (pronounced like Katie). 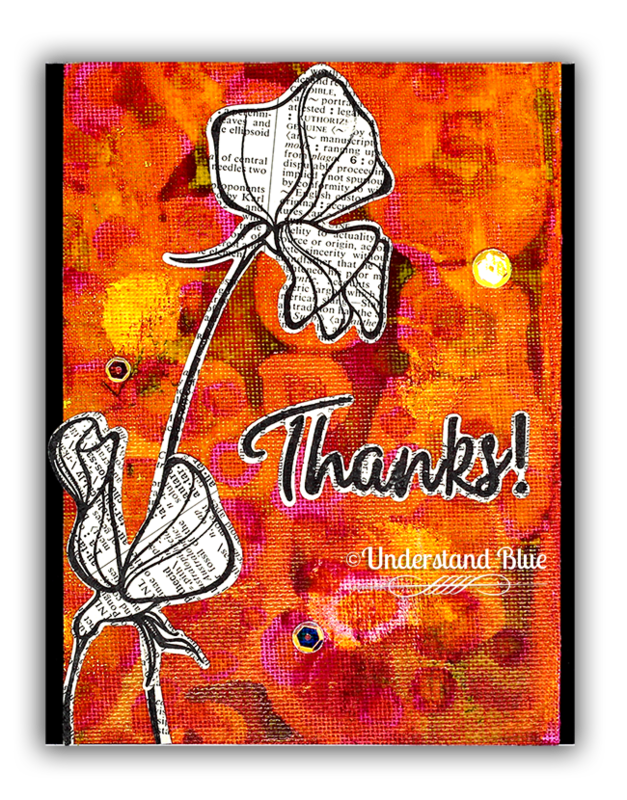 Love your signature mixed media using the written word! Beautiful! I am going to this!